Open House this Saturday, April 20th: 1-4:00pm. 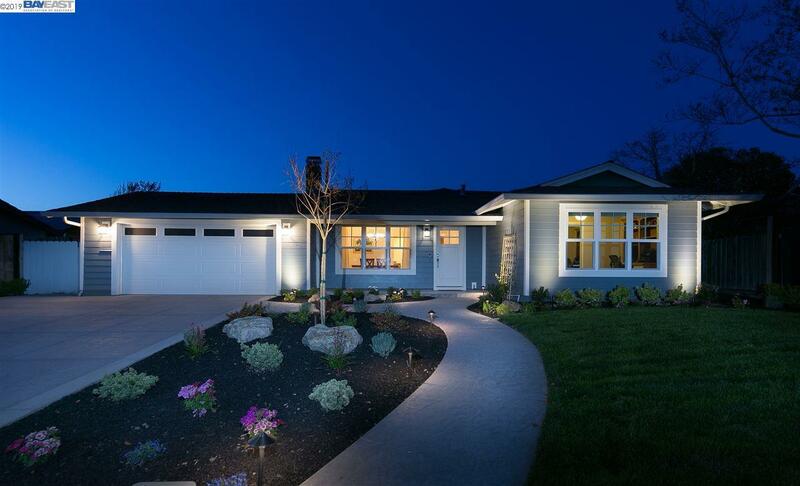 Single-Story, Sunset East pristine home with pride of ownership displayed from the all new facade, new custom concrete, professional landscaping and exterior lighting. Fabulous spaces merge with fireside dining, Quartzite kitchen with window pane cabinetry and a central great room that can host celebrations, movie night, game day and cartwheels. Access to the private backyard via pretty patio with retractable SunSetter awning and newer fencing are gained from family room and master suite. Stunning master bath offers tumbled travertine and luxurious bathtub and shower. Four other bedrooms offer a Jack & Jill with a two others near the front of the house offering a special zone of their own which could lend to use as a quiet home office, guest suite and/or au pair quarters. Prime location near premier Sunset Elementary and Karl Wente Park.